Author: Doyle, Claire Set In . . .
Laura McLove–lover of music and dance alike–encounters a handsome Hungarian dancer and returns to Budapest to find him and get closure on the strange events that occurred nearly twenty years earlier. Late Spring, and arriving on Franz Liszt Square, Laura enrols an old friend to search for Zoltán around the bars and nightclubs of Budapest, all the while telling the story of the winter she spent in Budapest where she found herself at the centre of a peculiar musical instrument heist. 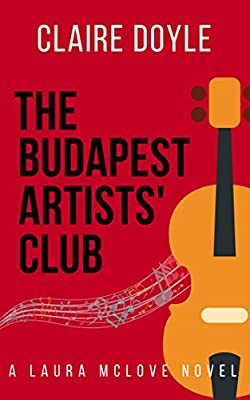 This light-hearted and contemporary second-chance romance takes us into the world of Budapest musicians and dancers and is focussed on the imaginary Artists’ Club–where everyone knows your name. Our story takes us from London to Pest, into the Buda Hills then down to Lake Balaton and back again. It features a charismatic Gypsy violin player, a chain-smoking Hungarian academic, a Jewish instrument-maker, a powdery-blue Trabant as well as a range of characters unique to this great city, with musings about love, wine, music and the great composers along the way. Come along down to The Budapest Artists’ Club and read this delightful tale for yourself. The Budapest Artists’ Club is a love poem to the stunning and magnificent city of Budapest. The Budapest Artists’ Club features Laura McLove, who also features in The Naked Sommelier, but is a stand-alone novel, the second in the series. If you love music, if you love dance, if you love humor, download a copy of THE BUDAPEST ARTISTS’ CLUB today.